With a philosophy that insists on using top quality organic products and a guest- oriented mentality, our objective is to offer you the ultimate private experience, whether it is a personal moment or a professional occasion. We are here to plan a picture-perfect wedding for you! From designing a lavish reception, to a themed wedding party or close family celebration, “Exquisite Catering” will help you create the ideal setting for your special moments. Our professionally trained team is committed to create a personalized menu that will reflect your own, special character. With a wide selection of menus from rich buffets, gourmet finger food or seated feasts, we will guide you through the perfect options for you and your guests to enjoy. Our mission is to turn your event to an authentic experience. 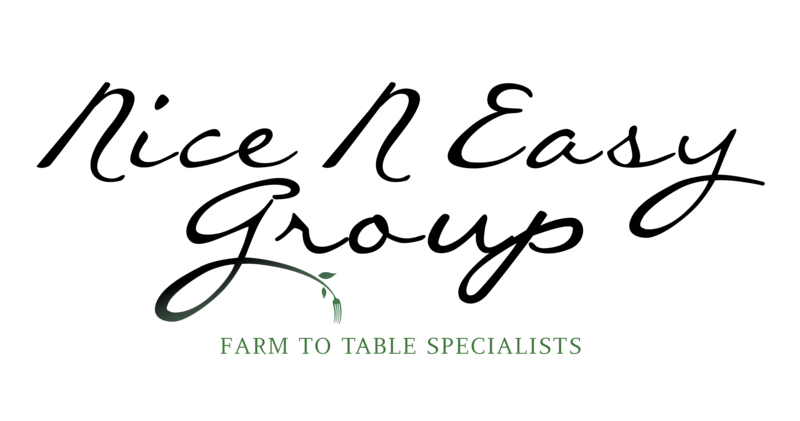 Depending on your concept, Exquisite catering will prepare tailor made, seasonal or destination inspired menus, each based on the finest quality of raw materials and organic products. Our talented chefs will work on all levels to design food presentations that will be perfectly paired with your setting while the rest our team of experts will ensure exceptional service is offered at all times. Select the ideal venue for your special moments. ‘nice n easy’ restaurant is located in the heart of Mykonos Chora, Alefkantra Sq., near Little Venice. ‘nice n easy’ Mykonos runs by the same philosophy as the Athens and Kifisia locations; it is dedicated to serving organic, locally grown food that is healthy and environmentally conscious. In the Mykonos location you will find the restaurant beginning service in the morning hours until after midnight! This spacious restaurant seats up to 250-300 people with plenty of room for an intimate setting or large groups. 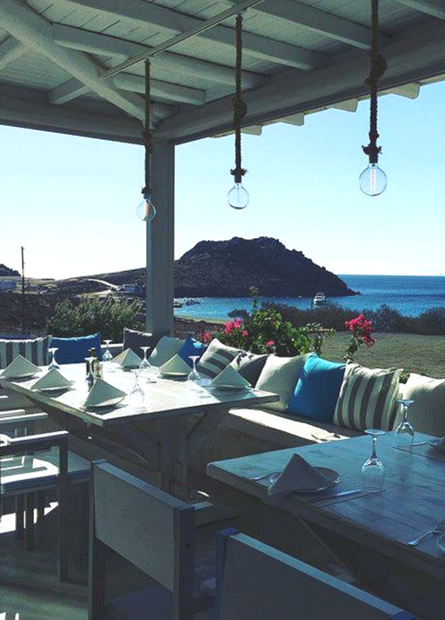 The new Mykonos restaurant, offering farm to table cuisine in its most creative and elegant version! Greece adds its unique sunlight; islands provide the special and premium quality ingredients; the professional team of ‘nice n easy’ restaurant add the philosophy for a delicious healthy menu; Nesaea is born… with a name inspired by a female divine spirit of the Greek mythology. Sky is the limit when it comes to where to host your event while in Mykonos, as even the simplest of settings can be transformed into your ideal framework. 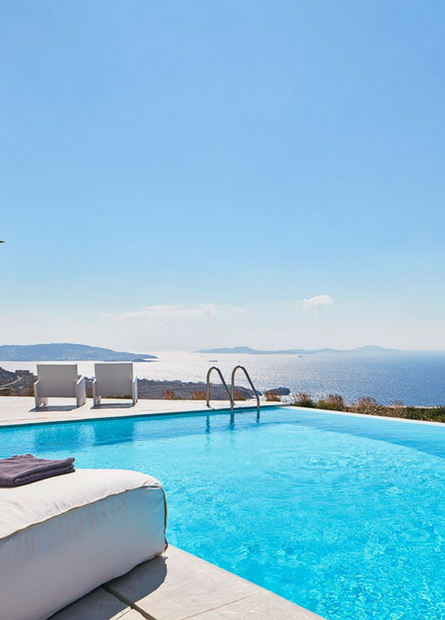 From luxury villas that overlook the Aegean, to professional estates or even a secluded beach, all that matters is that you find what inspires you and leave it to us, to make it exquisite. If luxury is the privilege of multiple options, then we can easily say that a private yacht vacation or even day cruise is the epitome of that. And what better way than to explore one of the world’s most cosmopolitan islands and at the same time be able to stay away from prying eyes. 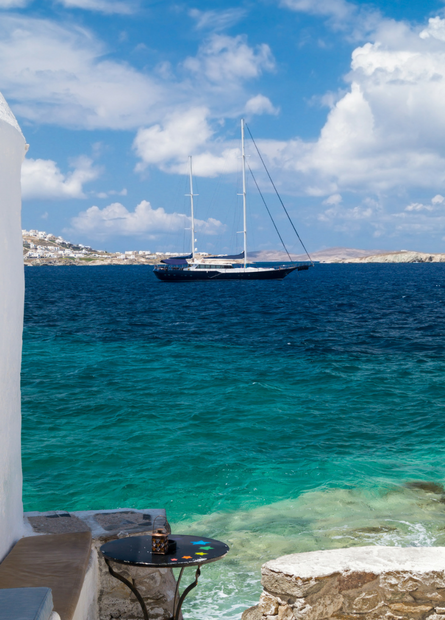 This is how you will visit the most inaccessible and yet charming parts of Mykonos, discover breathtaking small coves and enjoy the most exclusive of events all in a blue background. Whether it will be for a private dinner for two under the stars, or an upscale cocktail party, we know how to spoil our guests and will be happy to make your event exquisite. © 2016 Exquisite Catering. All Rights Reserved.